Allison Wolfe has been a steady presence at MVRU since I first met her over ten years ago. She came to us as a shy and quiet teenager, but she held a secret: what I would come to know and appreciate as her ‘determined way’. 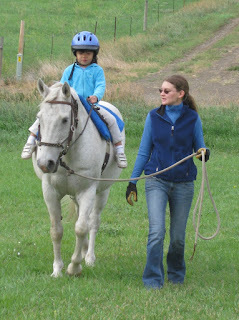 Her determination helped her pursue her desire to spend time with and around horses. She volunteered by care-taking horses, tack and equipment for a long time, observing, soaking it all up from the background, before I could convince her to actually have a lesson. To begin with, each and every lesson took lots of encouragement and she earned them through her volunteer time. Ever so slowly and gradually she became slightly more comfortable, less shy, and more accomplished at handling the horses, always preferring to have time alone with them to a lesson. 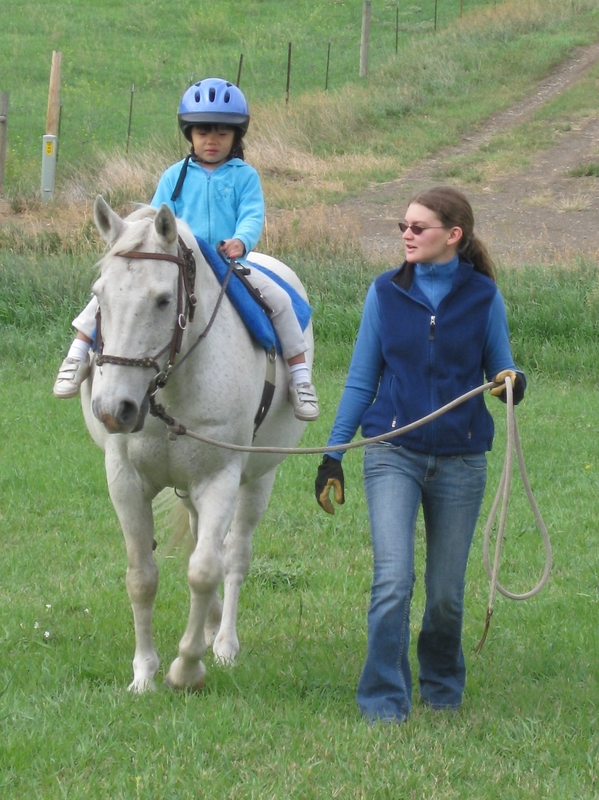 As her skills and confidence built, she began to volunteer, ride more and quietly assist around the ranch in useful and knowledgeable ways. Her confidence grew to the point that in the summer of 2007, she finally joined the staff. Her dedication to good horse care, attention to detail, and reliability make her invaluable as a horse care and stable manager. Over the years, she has become skilled at dressage, jumping, Natural Horsemanship, and working cattle, learning from a variety of sources: MVRU instructors, Jimmy Wofford and Buck Brannaman. Even after graduating from high school and going off to college, she always came back to the ranch to be with her horses and people, in most cases working as much as possible. 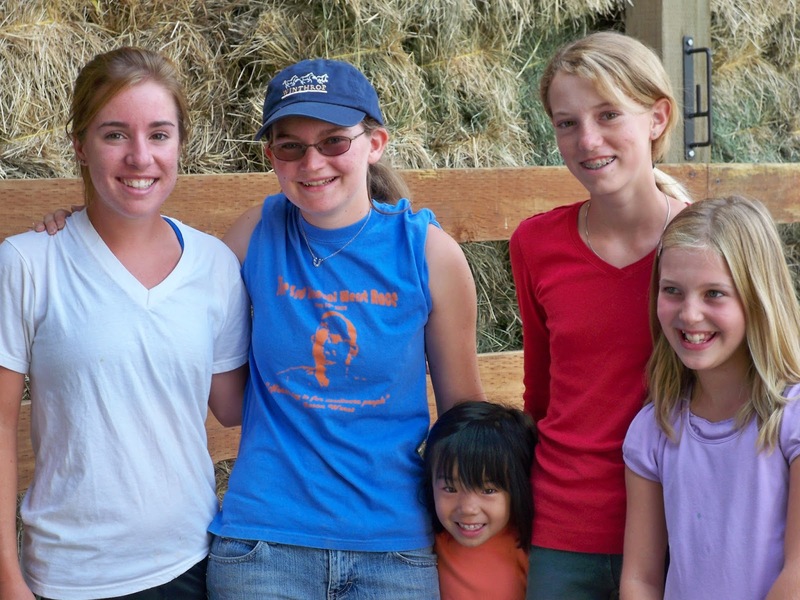 After college, Allison came back to work with us full-time and blossomed into a fantastic, thoughtful and skilled instructor not to mention honing her skills as one of the ranch's best cowhands. Today, she is continuing to challenge herself by pursuing her passion of becoming a Physical Therapist. We recently had a chance to catch up with Allison and ask her about her experience at MVRU. 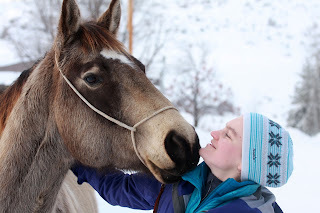 AW: I started at MVRU volunteering just to get some horsey time. I remember sitting in the breeze way cleaning tack watching Annie teaching a lesson and watching to see what I could learn. I was incredibly quiet and shy when I started at MVRU. I loved the opportunity to just watch and pick up all the little details but I still got pushed to keep progressing. AW: The most important thing I learned is that it takes hard work, perseverance and consistency to make improvement in your skills, in horse training and teaching. 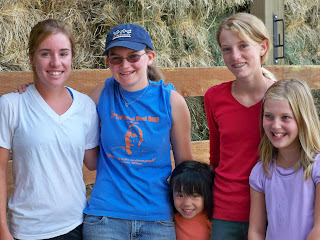 Skills I learned at the ranch have aided me in all other aspects of my life: from school to relationships. AW: Of course Whatnot is my favorite horse. He and I have gone through a development process together. He is a quirky character and came with quite a bit of baggage. He needed someone who would get through that wall he had built up. He and I have been through some scary situations together and we trust each other completely. He has become such a bombproof guy and is willing to try anything I ask of him. He is so much fun for cattle work and he becomes so aggressive and just loves his job, plus he has saved my bacon several times in the chute! I have to add that my favorites horses to teach with are Ginger and Buttons, those mares and I really work together to teach and they give my riders the amount of challenge they need while keeping everyone safe. AW: My advice to riders starting out is to take any opportunity that comes your way. Ride different horses. Try jumping, dressage, cattle work, driving, groom at a school, audit a clinic, etc. You never know what you are going to learn. And take the time to develop your own methods. Don’t just jump on someone else's bandwagon. Take what you like from people and let the other stuff go. We dream about the day when she may come back to us again, possibly as MVRU’s first in-house PT! We are so proud of you Allison. Your determined way will carry you far in life, hopefully on horseback.